Geographical Information Systems (GIS) have long bridged the gap between geo-information databases and applications. Although conceptual modelling approaches for GIS have been particularly successful in the representation of the specific properties of geographical information, there is still a need for a better integration of user intentions and usage. 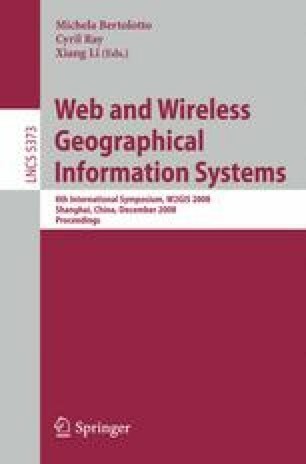 This paper introduces a conceptual framework applied to GIS and defined not only as a “Geographic Information System”, but also as a “Geographic Interactive System”. This approach extends the conceptual framework of a general purpose mobile interactive system to the geographical context. Beside a description of user tasks and the domain data layout, the proposed framework considers the geographical environment as an additional component to the design approach. The role of the spatial dimension in the design of such an interactive system is illustrated all along the conception of a real-time ship tracking system.